The Sidhil Solo 2 Dynamic mattress is a cost effective 2-cell alternating mattress overlay system which can provide relief for patients who are catagorised at medium to high risk of pressure damage. 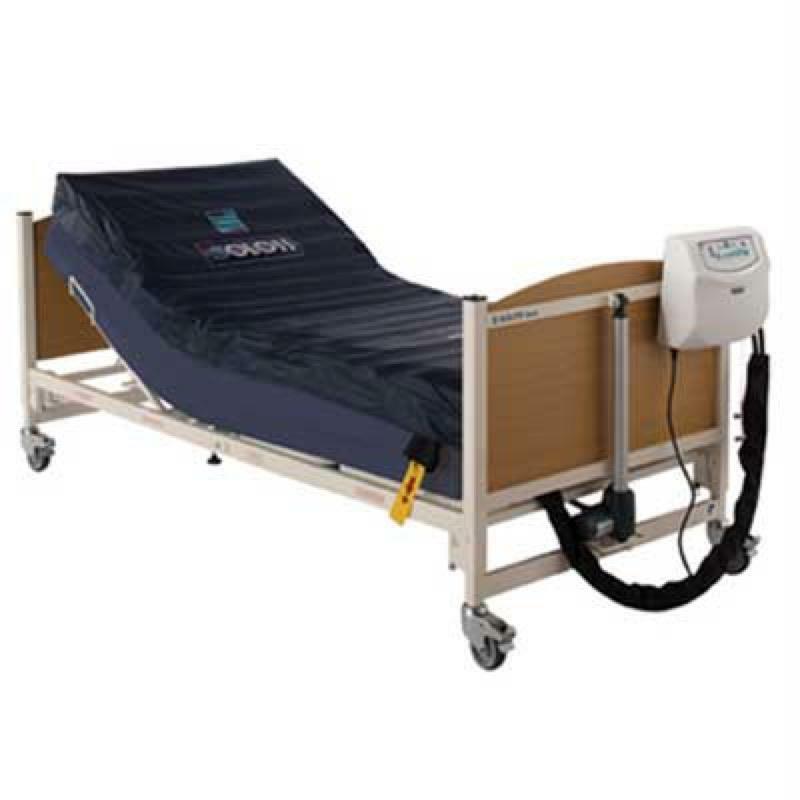 It is specifically designed to be used on top of a static mattress on both fixed and profiling bed frames. The Sidhil Softrest Thin Foam Mattress is recommended. It features an easy to use digital control system incorporating alternaing and static modes. The power unit has a low pressure alarm and an adjustable comfort control. A seperate 'power fail' alarm with an audio visual alert is available as an optional extra. The cover in constructed from vapour permeable PU coated two-way stretch fabric incorporating sealed seams and a covered zip.